Hirer – person(s) responsible for booking/paying for a vehicle and/or persons travelling in a vehicle on the day of the said event. The Hirer accepts responsibility for every person in their party. Land Rover Wedding – the owner, or representative of the owner, of the vehicle booked. Quotation – the form submitted to the potential Hirer outlining the itinerary and services offered, and the price of the services. Land Rover Wedding advises the Hirer to read Land Rover Wedding Terms & Conditions as specified on the Quotation and landroverwedding.com; facebook.com/landroverwedding websites. The Quotation will be valid for 4 weeks from offer to the Hirer. Payment of the deposit will be taken as an assumption that the Hirer agrees to the Terms and Conditions. There shall be no contract between the Hirer and Land Rover Wedding until the deposit or full payment has been received. Land Rover Wedding will confirm the booking in writing to the Hirer. If the Hirer wishes to book without viewing the vehicle, Land Rover Wedding accept no responsibility to the Hirer if the vehicle hired is not as expected by the Hirer. Land Rover Wedding reserve the right to amend their Terms & Conditions without notice. In case of one or more of the provisions within the Terms & Conditions being illegal, or invalid in any respect, this will not invalidate the legality or enforcement of the remaining provisions. A non-refundable deposit of £100 must be paid to secure a booking, which will be deducted from the balance due. If booking less than 30 days before the Hire Date, full payment must be made to secure a booking. Full payment must be made by bank transfer or cash at least 30 days prior to the Hire Date. The full hire price will be payable for any late bookings which are made less than 30 days before the booking. Land Rover Wedding will invoice the Hirer for the balance on receipt of the booking deposit. The balance shall be paid no later than 30 days before the Hire Date. If the balance is not received by 30 days before the Hire Date, the contract will be cancelled and the deposit forfeited. Any changes to the agreed contract which are made between booking and the Hire Date may be subject to extra charges. Such changes must be paid ahead of the Hire Date. Any changes made on the Hire Date must be agreed with Land Rover Wedding in relation to the Terms and Conditions. Additional charges may be applicable should the original itinerary be changed on the Hire Day. The Hirer must inform Land Rover Wedding of any cancellation in writing as soon as possible. The full hire cost will be charged if the cancellation is made less than 30 days before the Hire Date. If a cancellation is made, the £100 deposit is non-refundable. Responsibility cannot be accepted for adverse weather conditions, or acts by other persons or organisations which may impact adversely on the Hire Date. Liability is not accepted for unavailability of the Land Rover due to breakdown, traffic congestion, accident, adverse weather conditions, or acts by other persons or organisations which may impact adversely on the Hire Date. A full refund will be given but we will not be liable for any further losses, missed connections and/or functions however caused. In the event of any internal or external damage being caused to a vehicle by the Hirer or any of the Hirer’s guests or party, the Hirer will be liable for the full cost of repair. Land Rover Wedding reserve the right to terminate a contract without being liable to the Hirer if it is in their chauffeur’s judgment that the Hirer or any passenger is disorderly or unfit to travel. Smoking, use of controlled substances, eating or consumption of alcohol (apart from the supply of Champagne by Land Rover Wedding), will not be permitted. Land Rover Wedding accept no responsibility or liability for loss or damage, including stains, cigarette burns or fabric damage, to the Hirer’s property, luggage or personal effects, however caused. Due to the legal requirement for safe transportation of children under the age of 12, it is the responsibility of the Hirer to notify Land Rover Wedding if children under the age of 12 are to be passengers within the vehicle. In most cases we would ask for the parents of the child to supply a child seat which would be fitted to our vehicle. The Land Rover Defender 110 XS does not come with factory ISOFix fittings and the seat would therefore be attached using seat belt harnessing. Unless Land Rover Wedding receive such notification via the standard booking form entry covering this point, it will be assumed that all passengers are aged 12 and above. 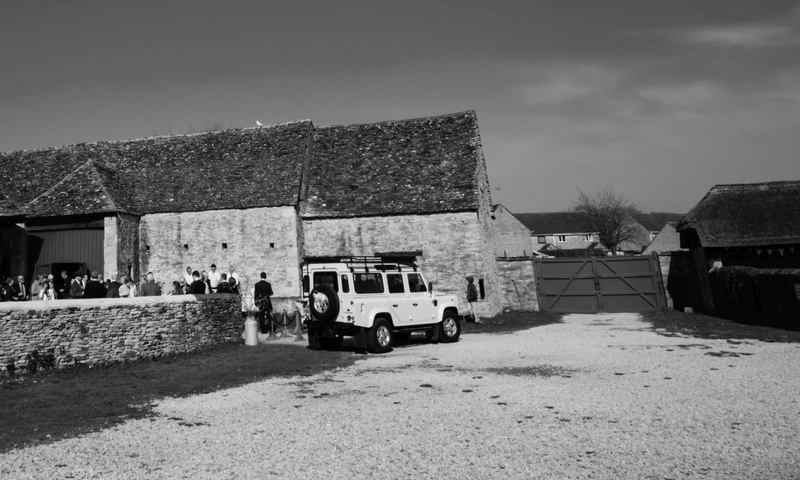 Land Rover Wedding will not take photographs at your wedding without first asking your permission. We would be very grateful if you would send us a few photographs after your wedding and with your permission we might use these for social media or our websites.